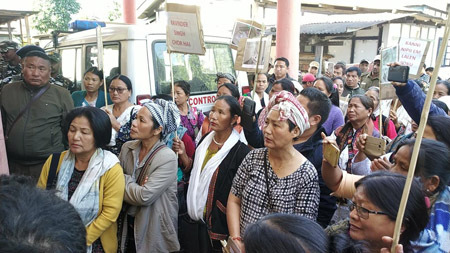 ITANAGAR, Feb 3: Two police officers have reportedly been suspended after a massive protest was launched by the Women Against Social Evils (WASE), a Pasighat (East Siang)-based women NGO, following report of seized opium going missing from the police station in Pasighat. The two officers, identified as Sub-inspector Ravindra Singh and Assistant Sub-inspector (IBRn) Kitam Jamoh, were allegedly involved in the matter of the contraband substance going missing from the police station. East Siang SP Prashant Gautam confirmed the suspension of the officers and said that, as per the WASE’s demand, he has written to the deputy commissioner for a magisterial inquiry into the incident. 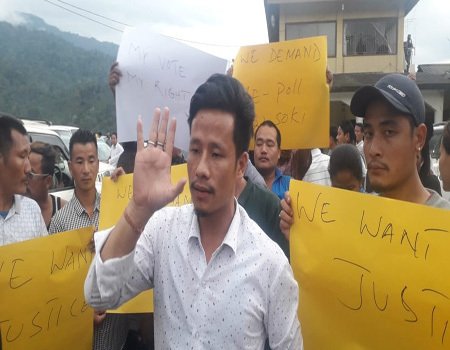 Apparently, the suspension came after the WASE launched a protest in front of the Pasighat police station, demanding suspension of SI Singh and ASI Jamoh, instituting of a magisterial inquiry, and retrieval of the missing drug. one Kome Tayeng, a resident of Kargu village, on 2 January. The team also reportedly apprehended ASI Jamoh with the drug peddler. Later, Tayeng, along with the seized drug, was escorted in ASI Jamoh’s personal car. The illegal opium balls were received by SI Ravindra Singh, but no seizure list was prepared, the WASE claimed in an FIR it lodged at the police station on 3 January. The NGO claimed that SI Singh, who had been assigned as the investigating officer of the case of the seized drugs, could produce only a few seized opium balls while the rest went missing. WASE president Omem Ering claimed that when the WASE team enquired about the opium going missing from police custody, “SI Singh shouted at us angrily. 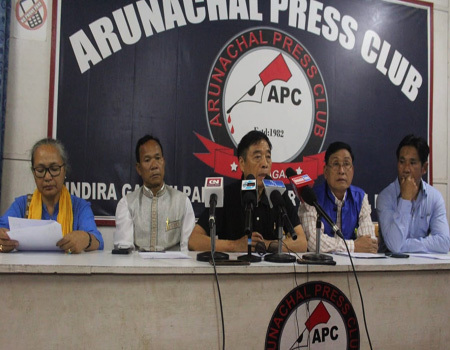 “After learning about the missing opium, we had lodged a complaint with the SP on 3 January, but no action was initiated till date; so we were compelled to carry out the protest rally, demanding suspension of Singh and Jamoh,” said Ering. Former education minister Bosiram Siram and local MLA Kaling Moyong supported the WASE’s cause, and urged the police authority take strong action against the officers. The SP stated that the matter is under investigation, and that, whatever the outcome of the inquiry, they would act as per the established law and rules.